How Can Crenshaw Law Firm Help Me After I Am Injured? The first obvious way to help someone who has been injured is to make sure that you’re provided medical care and compensated for your pain and suffering. We are committed to ensuring that our clients get the absolute greatest recovery that’s possible. We’ve done that time in and time out, and that’s demonstrated by our verdicts and our settlements. We want our clients to get the best medical treatment possible. We want to make sure that our clients are not the ones that are out of pocket for medical expenses – that when they can’t work, the person responsible is compensating them for their lost wages, that they are able to pay for their medical care in the future, and that they are in a position to continue to get the best medical care in the future. Our goal at the end of the day is to ensure our clients are protected, that their families are protected, and they don’t ever have to worry about how they’re going to pay their bills in the future. What sets Crenshaw Law Firm apart from other personal injury firms? Our commitment to our clients and the results we achieve for them sets us apart from others in the field. When you call our firm, you talk to a lawyer and we are there for you the entire way – from before we file your lawsuit to even after your lawsuit is settled. We make sure you get the best medical treatment, you have the best doctors accessible to you, that if you have any questions at any time we’re there as your friends, first and foremost, to help you. Our clients are our friends. They’re our family. Everything we do is to ensure that they get the best recovery they possibly can. 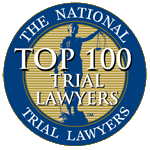 What Can I Expect When Working With The Experienced Trial Lawyers At Crenshaw Law Firm? When you work with the Crenshaw Law Firm, you are working with a team that’s committed to you, committed to your family, and committed to your future. We’re not just lawyers. In personal injury claims, we want to make sure that you’re getting the best medical care possible, that you’re seeing the right doctors, that you’re getting all the treatment you need, and that you get better. We want to make sure that your future is taken care of. We don’t want you to have to worry about how you’re going to pay the bills, how to take care of your family, what happens when you can’t go into work anymore. We’re there to ensure you get the best possible result and the most compensation available to you. We do that by devoting all of our time and all of our resources to you, your case, your family, and your future. We have the same devotion to those facing criminal charges. Be it misdemeanor allegations, or felony or federal criminal charges, the attorneys and counselors of the Crenshaw Law Firm are there to ensure that you are treated fairly and represented voraciously by a lawyer who is there for you from start to finish.